Pair of French deco bedside tables. 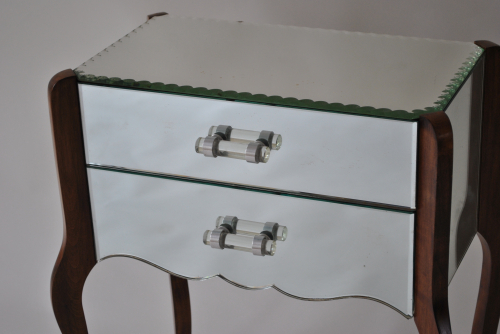 Scalloped glass, drawers with original barrel handles. Glass in very good condition, with some oxidisation.